The EEC works regularly to promote and improve the network of trails within Ewing. 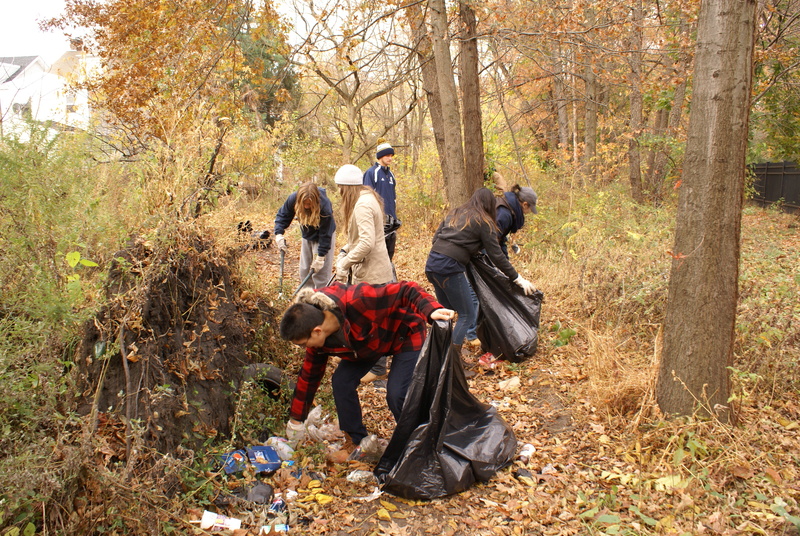 Regularly held trail cleanups are a staple of the Commission’s activities. One of the most recent works in progess is now being concluded at the Johnson Trolley Trail. The Johnson Trolley Trail is the bed of an old trolley, known as the “Fast Line,” run by the Trenton-Princeton Traction Company from appr. 1901/1940. Fares were only 10¢. Today, you can walk or bike the right-of-way abandoned by the former trolley company for free on a restored trail. The trail is split up into two sections, north and south, which are split by Interstate 95. The Ewing section is the terminus of the southern section. The final piece under Ewing control is in the process of restoration with an anticipated completion of Spring 2016. In early 2012 the Township was awarded a $24,000 grant from the Federal Recreational Trails Program, to be administered by the NJDEP. In 2013, thanks to intensive effort by Jim McManimon, Business Administrator, and Tom Elder, Supervisor in the DPW, great strides were made in upgrading the existing trail. The plan has always been to have the finished trail look just like what Lawrenceville Township did with their section a few years ago, so we used their plans and designs on the section we were upgrading, with very satisfying results. First, County equipment came in and laid down a sub-base which was then covered with millings from streets being repaired. After that a 2” cover of stone dust was applied to the half-mile length to provide the final surface. At the north end where it crosses Shabakunk Creek to join the Lawrenceville portion, a split-rail fence was placed on both sides, mirroring what Lawrenceville had done. Grass seed was planted along the trail last fall, and a large boulder placed at The Whitehead Road Extension entrance (it will bear a plaque giving the history of the Johnson Trolley Trail). The remaining tasks, include planting of low-maintenance shrubs and grasses at certain parts of the trail; design, manufacture and placing of the plaque; and some refurbishing of the bridge over Shabakunk Creek, were performed in the spring of 2016. Plans are underway to celebrate its completion on June 4th, National Trails Day, at a ceremonial reopening.